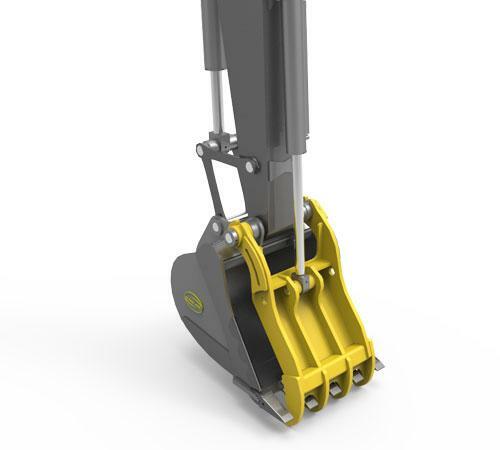 The Strickland Main Pin Hydraulic thumb is a custom-designed thumb built around the existing bucket. The thumb tine spacing is set to mesh perfectly with the teeth on the bucket. The thumb pivots on the same pin as the bucket or coupler allowing the thumb to follow the same curl radius as the bucket.